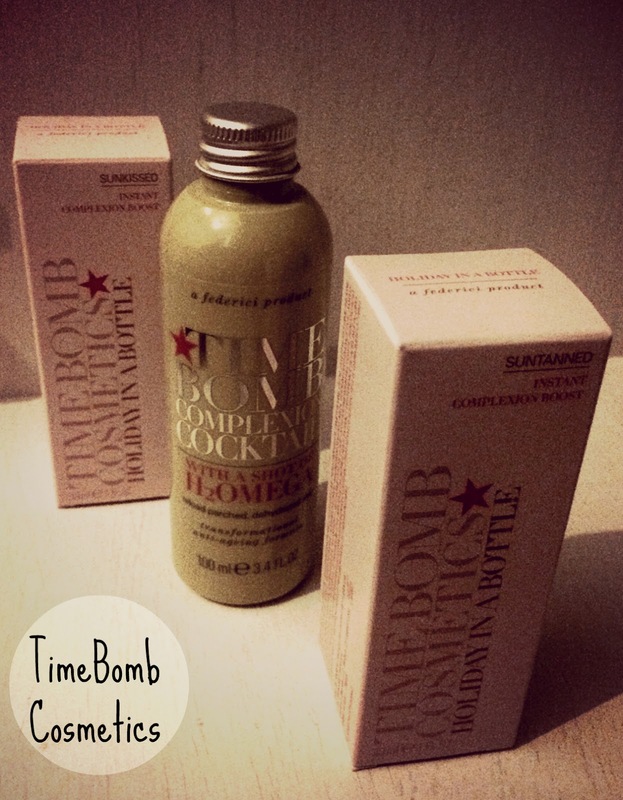 The Gossip: Summer must haves from TimeBomb! Just a note that this is not a foundation or a self tanner the liquid has micro-pigments that burst on contact giving you a healthy dose of sunshine glow for all slime tones. Create a sheer wash of just-been-to-the-beach color in two shades (lighter or deeper) is an instant, uplifting anti-dote. All the feel-good, look-good benefits of a sun-soaked vacation, without dangerous UVA/UVB exposure. Apply sparingly and evenly all over face, making certain to blend into neck. Apply more if needed. Product turns from gray to skin color on contact and adjusts to blend in with any skin tone. This product is perfect to reload parched or dehydrated skin from the summer heat, sweating it out at the gym or from using bad cosmetic products. Restores smooth, supple texture to skin that looks sucked dry, crinkled. Shake well before using. Apply to dry skin. Pour a small amount in hand or saturate a cotton wool or pad and apply to face. Can be used both morning and evening. Avoid contact with eyes.